Your child's school knows just about everything about your kid. Now, many school districts are storing all that information in the cloud. Non-profit inBloom offers an Internet database service that allows schools to store, track and analyze data on schoolchildren. If you think about it, that information is more than just test scores. It's whether kids receive free lunch -- a telling indicator of the family's finances. It's the time a student got into a fight in the schoolyard. And it could be a child's prescription medication. The upshot of storing all that data in one location is that it can be used to tailor specific curricula to each child. If Johnny's data suggests that he's a tactile learner and he's failing math, inBloom's analytic engine might suggest a particular teaching approach. Teachers say that kind of insight can be helpful. Jim Peterson, a teacher in Bloomington, Ill., says inBloom has helped break down the silos in his school system's data collection. His school district supports 50 separate data systems. "This is all about building personalized learning environments for kids," he says. Peterson also thinks having this kind of data will spur new innovation in education, encouraging entrepreneurs to build applications that can help teachers make use of their students' data. But as more school districts team up with inBloom, including New York, parents are becoming increasingly vocal critics of the data collection. "This information ... I have no idea what it is, I have no idea who's using it, I have no idea for what purpose," said New York's Karen Sprowal, mother of nine-year old Matthew. Matthew has Attention Deficit Hyperactivity Disorder. Ms. Sprowal is concerned about who will have access to her son's medical records and whether any stored data about his behavioral issues will follow him for years to come. InBloom CEO Iwan Streichenberger is quick to point out the company isn't collecting data the school districts don't already have; it's just providing a one-stop shop to make the data accessible -- and usable -- to teachers. "Schools and districts collect a lot of data but it's all over the place," Streichenberger says. "Its different systems are disconnected, so as a result, this data is not usable." Streichenberger says inBloom is providing the "plumbing" to fix school districts' currently disjointed systems. School districts control the data, though they may share that information with third-parties if they choose. (See correction below). 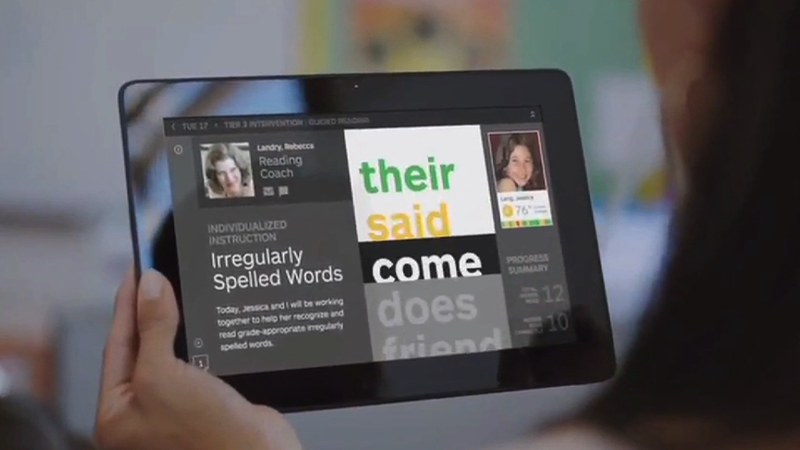 That promise has offered little comfort to many parents in school districts that use inBloom. Some parents in those districts feel that there's not enough transparency around the data platform, what data will be stored, and who will have access to it. InBloom says it's up to the states to determine what data is stored and whether parents have access. Sprowal says parents were not adequately notified before her son's school district started loading data on to the platform. "I think if there was full disclosure, transparency, if they included us in the process, as they were developing it ... it would have been fine," she said. "It would have ... put some constraints on it." A recent town hall meeting on student privacy in New York got heated. "We will do whatever it takes to stop inBloom, [New York Mayor Michael] Bloomberg, or anyone else when it comes to our children," one parent said to applause. Pending legislation in New York would allow parents to opt out of this type of data collection. InBloom represents just one of many tech companies capitalizing on data collection in the classroom. A company called DreamBox Learning offers a computer program for teaching math. The technology assesses whether students answer correctly, and, more importantly, how they arrived at the answer. The data includes whether a child hesitates, and what strategy they used to arrive at that answer. Sprowal acknowledges that personalized learning could be beneficial to Matthew. Still, given the option, she says she would opt out for now. Correction: An earlier version of this story incorrectly stated that schools cannot share data stored on inBloom's servers with third parties. InBloom cannot share data, but schools can.